This week Jeffrey Glenn (Go Pro Asia) takes a look at some of the best tech gadgets on the market today for divers of all ages and abilities and to suit a wide range of budgets. The world beneath the waves is one that only a small proportion of the human race has experienced and the more time spent in the deep blue sea the more one appreciates its magnificent diversity and stunning beauty. The mystery and majesty of the underwater world keeps divers the world over wanting to go back for more, to take their dive training to the next level and to share with others the joy of scuba. Scuba gear that makes diving safer and easier enhances the experience and makes it more enjoyable. These gadgets aren’t essential, but they will make for an all-round more pleasurable time on your next dive outing. 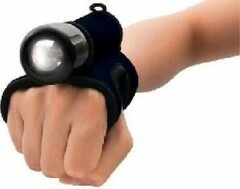 The Goodman glove is a simple device that once you’ve used it you’ll wonder why no-one thought of it sooner. The glove features a loop on the back of the hand with a Velcro fixing that is designed to hold a torch, freeing up your hands to carry and use other dive gear and ensuring you never drop your torch again. This glove is available from dive shops, Amazon and eBay. Functioning both as a VHF marine radio and a GPS receiver, the Nautilus Lifeline allows divers to contact boats within an 8 mile radius and transmits the GPS coordinates of the user to nearby boats. This is a great safety device, built to last and with long battery life. This award winning drysuit from Fourth Element is the equivalent of a made-to-measure suit, being custom cut to the right size based on a 3D modelling of your body. The suit is made from breathable Kevlar and is designed to perform in the harshest of conditions. A 500W sea scooter which can reach speeds of up to 4mph. This easy to use device makes navigating around a dive site a doddle. 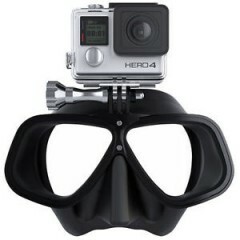 This gadget allows you to record video hands free with your Go Pro camera directly from your mask. The tempered glass lens guarantees a fog free view and the super soft silicone skirt ensures a perfect seal with maximum comfort. Designed to minimize jaw fatigue when diving by moulding to your mouth, teeth and gums. A simple idea that can improve your comfort hugely. A seemingly low-tech gadget, this affordable little piece of kit allows you to take notes, make sketches and communicate with dive buddies underwater simply and effectively. The graphite is easily replaceable and even comes in a range of colours. Diving technology is making Scuba a more accessible pastime for many people. Improvements in both safety and comfort is helping to encourage more people to take up diving for the first time.